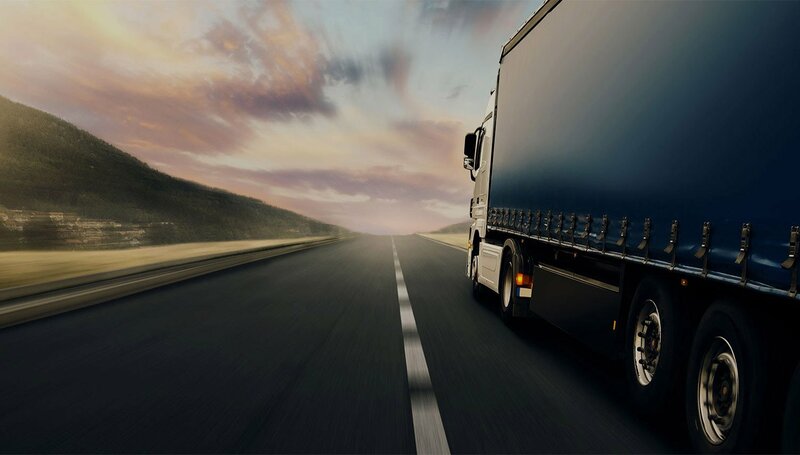 This is just one of the reasons why multi-modal transport models are becoming an increasingly important challenge for fast-growing companies. Optimally allocating multiple transport modes requires proper management of complex data sets. State of the art applications not only result in operational efficiency but also present a competitive advantage. Which factors cause multi-modal transport optimization to be so complex? 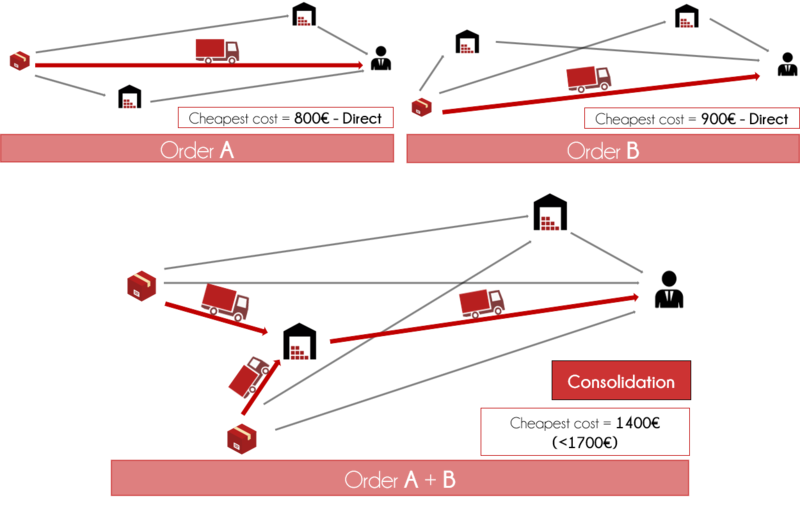 Direct transport might be the cheapest solution for moving a single order from A to B. But things change when taking into account the hubs that allow us to consolidate orders. 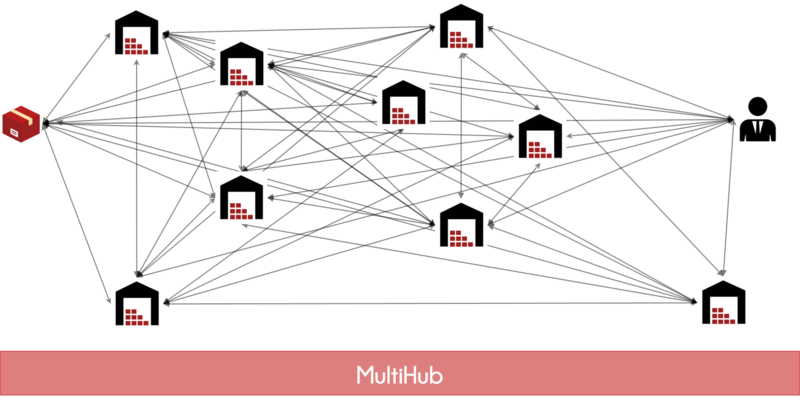 A smart application will suggest grouping multiple orders on hubs when this results in a lower total cost. When looking at a select set of orders and hubs, it’s a quite simple problem to tackle, but the growing number of hubs (and orders) results in a booming number of possible routes and exponentially increasing complexity. A powerful application differentiates itself from the rest when a high number of hubs, orders and routes can quickly be taken into account while maintaining the quality of the result. It goes without saying that every type of transport brings its own variety of restrictions and requirements. A straightforward example is the lead time. The lead time from an airplane obviously differs from a sprinter truck’s lead time. Another example are the restrictions that spring from safety requirements. They obviously differ for every mode. A reliable multi-modal plan can only be created when having a tool at your disposal that can handle all these requirements. Again, without cutting down on speed or quality. Chances are high that it takes multiple days for a package to cover large distances. In such case, new input on day 2 may cause a route that was optimal on day 1 to be sub-optimal on day 2. That new input usually consists of a new order: consolidating that new order (B) with the first order (A) on a hub that wasn’t originally planned on the route of order A might require a “change of plans” to retain the optimal situation. 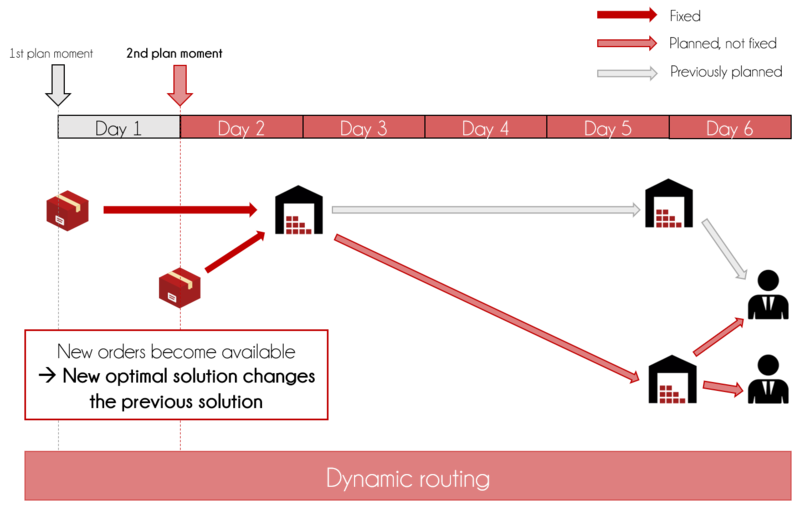 Dynamic routing is challenging (data integration, power of the algorithm, operational consequences…) but produces considerable efficiency gains. When constructing a powerful model, the underlying algorithm must be able to comprehensively analyse whether it’s optimal to insource or outsource an order. When outsourcing an order to a third or fourth party logistic partner, varying cost functions come into play. When executing an order yourself, traditional cost functions (€/km, €/h, €/stop, start cost…) might do the job, but quantity discounts must frequently be used when calculating the outsourcing cost. Demanding the application to generate a comprehensively optimal solution, using multiple cost functions, taking all orders and parties into account, is a very challenging but valuable requirement. On top of the four topics mentioned above, a whole bunch of other factors cannot be ignored if you want to get an operationally functional result. These constraints are quite straightforward but the impact of timing constraints is considerable. F. e. when an order has a very narrow pickup time window (earliest pickup time is close to the latest pickup time) then this substantially reduces the number of orders it can be consolidated with. We’re using these examples just to illustrate that tons of restrictions must be considered when optimizing the entire chain. The exploding quantity of data and therefore high complexity of multi-modal planning becomes obvious when taking all the above variables into account. That’s one reason for the high demand for an application with a light (read: smart) structure producing a high number of iterations per second. This is necessary when looking to render results quickly and repetitively. Should we invest in an extra hub or should we eliminate one? You could perfectly measure the impact of each option by simulating a scenario, based on historical data. What’s the value of investing to decrease certain lead times? What does the optimal fleet look like? Which new types and sizes is are the most profitable ones for the company, given the current fleet? Can we combine the volumes of different customers? What’s the cost decrease when a customer is less restrictive in his/her demands? Split the added value? These insights might be valuable during the sales process. When an optimization tool supplies reliable answers to these types of questions, then it serves a bigger goal than purely operational efficiency. It provides valuable insights on the delicate balance between costs and service level and you’ll be able to quantify the impact of strategic investment decisions.